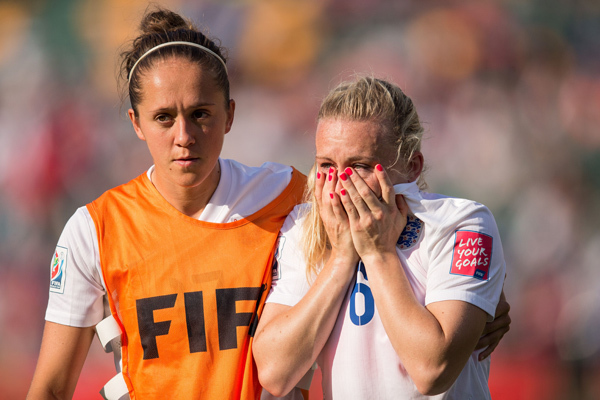 In one of the toughest losses imaginable, Japan eliminated England from the Women's World Cup after Laura Bassett scored an own-goal in stoppage time. Not that it made her feel any better, but Bassett was quickly flooded with positive mentions on her Twitter timeline (even those who wrote Huff Post reporter Laura Bassett). England coach Mark Sampson also offered encouragement, saying “Laura Bassett epitomized pride, passion, never-say-die and play for your team." Japan faces the U.S. Sunday in the World Cup Final. From the "this would never happen in America" department, Stockholm's three-time world champion men's synchronized swimming team took a bunch of shots (out of water guns) and attempted to swim. They failed miserably. It was part of a "Don't Drink and Dive" water safety campaign from insurance firm Trygg-Hansa, which set out to record the effects of alcohol on intoxicated, middle-aged men who go for a dip. Baseball cards are boring. Defacing baseball cards with pictures of the male anatomy and other things I'd laugh at in fourth grade are all the rage. Enter the Baseball Card Vandals, who have made the defacing of baseball cards into an artform. Complex has collected their best work. I stumbled across the Instagram profile of Mikalah Sultan and wow! She earns today's LLOD honors (click here for full-size gallery). The dude just wants to surf! The Titans aren't as into this idea. Not sure I love the red, white and blue cat. Otherwise, these are perfect. 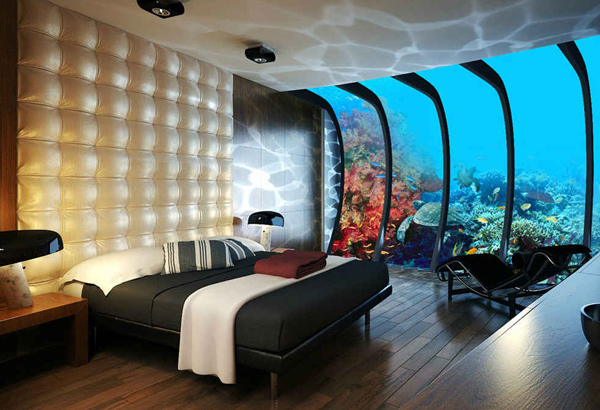 Did you know underwater hotels existed? We graded every NBA free-agent signing. Speaking of which, Barack Obama gave the Bulls' deal with Jimmy Butler an A+ ... If you want to work for the Chargers, you had better be willing to relocate to Los Angeles ... Amar'e Stoudemire's guide to Paris Fashion Week ... I'm still not sure how Paul Pierce scored a three-year deal with the Clippers (though the final year is a team option) ... Plaxico Burress' joke about trying out for the NBA did not go over well on Twitter ... Lil Jon threw out an ugly first pitch at Wednesday's Padres-Mariners game ... New Feud Alert: Victor Martinez vs. Pittsburgh Pirates ... Skylar Diggins is out for the season after tearing her ACL ... Hank Baskett's transgender cheating scandal was just a weed deal gone wrong, according to Hank Baskett ... Pro wrestlers imitate other pro wrestlers ... Sepp Blatter says he is 'not corrupt,' believes he will go to heaven​ ... This is the world's biggest Miami Marlins fan ... Nicholas Winton, who rescued 669 children from the Holocaust, died at 106 ... Fun Rumor Alert: Ben Affleck is divorcing Jennifer Garner because he's getting back together with J-Lo. I'm not a poker expert but there should be 52 unique cards in a deck. This wasn't the case during the Super High Roller Cash game in Las Vegas, which featured a $250,000 buy-in. Colbert appeared on Michigan Public Access TV, where he interviewed Detroit's most famous rapper.